Musical Monday: Happy Birthday Michigan! January 26, 2015 3:16 pm / 7 Comments on Musical Monday: Happy Birthday Michigan! Today is Michigan’s 178th Birthday! A Big Happy Birthday High Five to the Mitten! In celebration of the Mitten’s birthday (and the fact that I went to the Motown Museum this weekend) today’s Musical Monday is going to be a few of my favorite Motown songs by artists born right here in the Mitten. Enjoy! If you find yourself with some free time in Detroit, I recommend taking an hour to tour the Motown Museum. You won’t be sorry! Sometimes it’s so hard to be happy for someone else when they are getting everything you ever wanted. Trust me I’ve been there too. But being resentful towards someone getting their heart’s desire doesn’t hurt them, it actually hurts you. Envy can turn into bitterness super quick, and steal your joy! If you’re finding yourself in envyland or thinking your dream is over because someone got “your” job, promotion, place, etc… remember this… One of God’s names is Elohim. It’s plural so it includes Yahweh, Jesus and Holy Spirit and the gist of its meaning is The Creator. Why does that matter? I’m glad you asked! It matters because God created enough blessing for everyone and enough space for everyone to have a place at the table. So even if they wanted to, no one can take your place or the blessing reserved for you. Period. This is a big world and everyone is needed. If your dream hasn’t happened yet, it doesn’t mean it won’t ever happen. Just keep making good choices and doing the right things. Deal with your issues. Enjoy life where you are, right now. Remember you will reap what you have sown. So, be happy for people! Pray for their success! Encourage other people’s dreams, and trust that yours is coming! Sometimes those “know” you are the ones who don’t want you to grow, change or step out. Don’t let other people’s shortsightedness hold you back from your giant slaying destiny! Some will say you’re too old, too young, too fat, too skinny, too much this, not enough that or otherwise deem you unqualified. But if God made you to be a giant slayer you ARE in fact a giant slayer! Instead of focusing on what you don’t have, simply use what is in your hands right now. It will be enough. When you get to the point where something else is required, it’ll be there. Right on time. When you actually need additional resources, they’ll be provided. In His usual stop-on-a-dime, perfect timing, of course. PS A bonus lesson from watching Veggie Tales Dave and the Giant Pickle with my nieces and nephews: Little guys can do big things too! Hey all! Velma here. I know, I know. I’ve been seriously lacking in the family history posting. But I’m hoping to make it up to everyone over the next weeks and months. Today is all for the Civil War Buffs out there. Today I’m posting a selection of my family’s representation in the War of Northern Aggression (that’s Confederate Tennessean for Civil War). Members of my ancestral line fought at some of the most famous and infamous battles in the war. I think it’s awesome that a few of them were in the vicinity of Appomattox when General Lee surrendered. That’s some serious history right there. I also found it interesting that Rebel Private Smith was fighting at Chickamauga, where the Yankee Captain Drake was taken prisoner. If you’re looking to solve the mystery of your family’s Civil War Soldiers, I recommend starting at the NPS Soldiers and Sailors Database. Remember that there may be more than one soldier with your ancestor’s name, so there are other ways to find out exactly which Regiment and Company they were in. Try searching on Family Search. It’s free. I found my information in Tennessee Soldier and Widow Pension Records, US Civil War and Later Pension Index, 1861-1917, 1894 Michigan Census, and 1890 Union Veterans Schedule, among other sources. If you have an Ancestry.com account you can find the records there too, and are able to attach them to your family tree. William Henry Grizzard, son of Thomas Ambrose Grizzard and Nancy Lewis, fought with the 11th Battalion, Tennessee Calvary (Gordon’s) as a Private in Company D. The 11th Cavalry Battalion [also called 10th Battalion] was organized in January 1862, with six companies. The men were recruited in Giles, Davidson, DeKalb, and Smith counties. By April 1862, when it was assigned to General N.R. Beall’s Brigade in the Army of the Mississippi, it contained 32 officers and 357 men. Later, when the battalion merged into the 6th Tennessee Cavalry Regiment, William was a Sergeant in Company D, under the command of Lieutenant Colonel W.W. Gordon and William S. Hawkins. I’m still rooting out what battles they were involved in. Josiah, son of Joseph “Josiah” Smith and Michel “Mickey” Shepherd, was born in Tennessee in April 1837. He enlisted as a Private in the 5th Regiment, Tennessee Calvary (McKenzie’s), Company F.
5th Regiment, Tennessee Cavalry (McKenzie’s), was organized in December, 1862, using the 13th Tennessee Cavalry Battalion as its nucleus. The men were from the counties of Polk, Hamilton, Meigs, McMinn, Bradley, Cocke, Hawkins, and Blount. It served in Scott’s, Humes’, H.B. Davidson’s, and H.M. Ashby’s Brigade. After skirmishing in Kentucky the unit fought at Chickamauga, McMinnville, Shelbyville, and Philadelphia. Later it was involved in various conflicts in Kentucky, Alabama, and Georgia, and then took part in the campaign of the Carolinas. The regiment surrendered with the Army of Tennessee. Its commanders were Colonels George W. McKenzie and John B. McLin, Lieutenant Colonel John G.M. Montgomery, and Major John L. Backwell. Nathaniel, son of Nathaniel Corbin and Nancy Ormrick, enlisted as a Private in Company K of the 9th Regiment, New York Heavy Artillery on 16 August 1862 in Ira, New York. He was promoted to full Corporal on 26 April 1864 in Washington, D.C. The 9th Regiment was organized at Auburn, New York as the 138th Regiment New York Infantry and mustered in September 8, 1862. The Regiment left New York for Washington, D. C. on 12 September 1862, where they remained on garrison duty until May 1864. During that time they build and garrisoned Fort Mansfield, Fort Bayard, Fort Gaines and Fort Foote. They were relieved on 18 May 1864 and ordered to join the Army of the Potomac in the Field. Company K was involved in The Rapidian Campaign, The Siege of Petersburg, Sheridan’s Shenandoah Campaign, Appomattox Campaign 28 March-9 April, including being present at Appomattox Court House on April 9th for the surrender of General Lee and his army. Bronson, my great, great, great, great grandfather may have died in 1862, but the Drake family was well represented in the Union Army by 4 of his brothers. In 1859, Byron joined the 2nd U.S. Artillery as an Army Regular. In 1862, George, Lewis and Milton (aka Milan/Milon) enlisted the 22nd Regiment, Michigan Infantry. Sadly, the Drake family lost both George and Milton in 1864. 1. Byron Drake, son of Lewis Franklin Drake and Mary Broadwell, was born 27 February 1838. He enlisted as a private in the 2nd U.S. Artillery (Regular Army), Battery G, on 5 October 1859. He served five years, fought at the Battle of Bull Run, Siege of Yorktown, Battle of Fredricksburg, Battle of Gettysburg, and mustered out on 5 October 1864. After his time in the Army, Byron returned to Michigan and became a carpenter. 2. George B. Drake, son of Lewis Franklin Drake and Mary Broadwell, was born 21 June 1841. He enlisted in the 22nd Regiment, Michigan Infantry, Company B as a private. He gave his life on 20 August 1864 during the Siege of Atlanta, Georgia. 3. Lewis B. Drake, son of Lewis Franklin Drake and Mary Broadwell, was born 18 May 1830. He enlisted in the 22nd Regiment, Michigan Infantry, as a Sergeant and mustered out as a Captain. He served in both Company D and Company G. He was taken prisoner at the Battle of Chickamauga in September 1863. He returned to Michigan after the war. 4. Milton M. Drake, also Milan M. or Milon M. Drake, son of Lewis Franklin Drake and Mary Broadwell, was born 9 May 1832. He enlisted in the 22nd Regiment, Michigan Infantry, Company B as a private. He gave his life on 22 April 1864 near Chattanooga, Tennessee. At the time of his death, he was a Corporal. The 22nd Regiment, Michigan Infantry was organized at Pontiac, Michigan, and mustered in August 29, 1862. The Regiment left Michigan for Kentucky on 4 September 1862. They were involved in the Battle of Chickamauga, Siege of Chattanooga, and the Siege of Atlanta, Georgia. The Regiment was attached to the Engineer Brigade in November 1863 and were engaged in building a road from Chattanooga to Brown’s Ferry and laying a pontoon bridge for the crossing of Sherman’s army. George, son of John S. Nicholson and Paulina F. Fuller, enlisted in the 2nd Regiment, Massachusetts Cavalry as a private in Company K on 12 August 1862 in Nantucket, Massachusetts. After the War, in the 1880’s, he settled in Owosso, Michigan. Company K was organized at Camp Meigs, Readville, Massachusetts. They left for Baltimore, along with Companies, A, B, C and D, and then moved to Fortress Monroe, 12-18 February 1863. They were then moved to Gloucester Point, Virginia on 19 February. There they were attached to Calvary Command, 4th Army Corps, Department of Virginia. There they were engaged in picket, outpost, and scouting duty until July of 1863. It was there that George was shot in the right leg. He was mustered out on 4 March 1863 in Farnsworth, Virginia. George enlisted in the Union Army the second time on 4 January 1864. But this time he was a private in Company I of the 20th Regiment, Massachusetts Infantry. The 20th Massachusetts Infantry was organized at Readville 29 August to 4 September 1861. When George arrived they were attached to the 3rd Brigade, 2nd Division, 2nd Army Corps, Army of the Potomac, until March, 1864. They were then attached to the 1st Brigade, 2nd Division, 2nd Army Corps, until the end of his duty. He was involved in the Campaign from the Rapidan to the James, Siege of Petersburg. He was also among those present at Appomattox Court when General Lee surrendered. He mustered out in June of 1865. In 1881, George moved to Owosso, Michigan. PS. 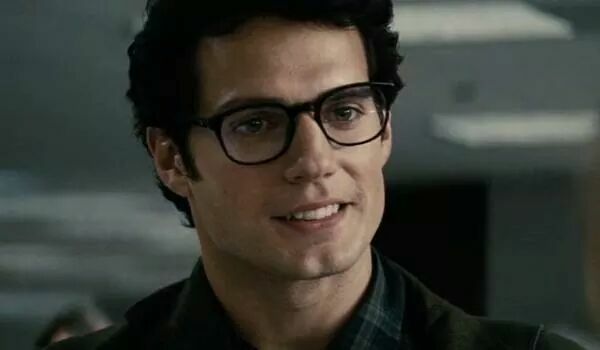 Don’t worry Clark, dah-ling, I swear my love for Captain America is simply my deep felt patriotism. 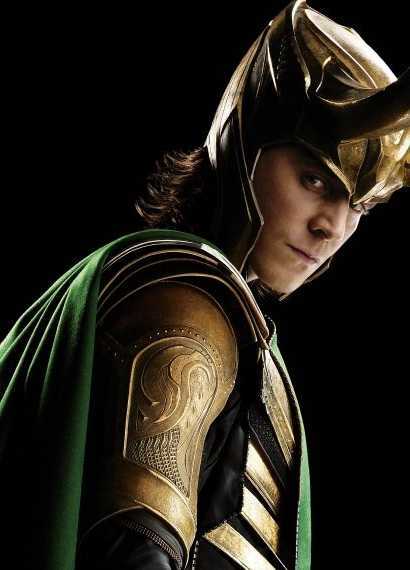 And the Loki thing is most likely a phase. It should only last until Ragnarok is over (ack cough or it could last forever ack cough cough) I swear, my love, I just really enjoy Tom Hiddleston’s excellent portrayal of Loki. 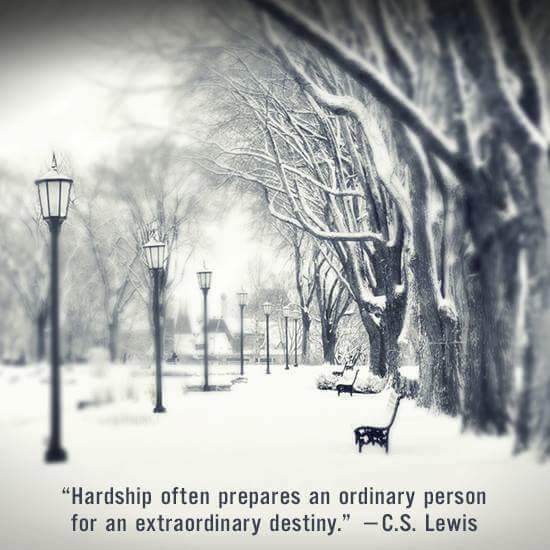 Hardship and troubles happen to everyone, that’s just life. But how you choose to see those times either creates a bitter and angry you or changes you into a better and stronger you. Better or bitter, the choice is yours! “We can rejoice, too, when we run into problems and trials, for we know that they help us develop endurance. And endurance develops strength of character, and character strengthens our confident hope of salvation. And this hope will not lead to disappointment. For we know how dearly God loves us, because he has given us the Holy Spirit to fill our hearts with his love.” Romans 5:3-5. My favorite scripture to read every January is Isaiah 43:1-19. It’s Yahweh reminding His people that He’s always been there. Reminding them He can be trusted and not to be afraid. Then in verse 18, He says, I’m doing something new now. It’s like the chapter to that point was to stomp the fear out of them so they would be brave enough to embrace the new thing He was doing. So be brave in whatever is before you, because He’s in it with you! !